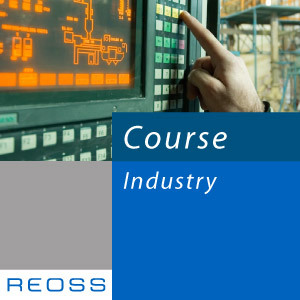 This 4-day Lean Industry Essentials course will enable you to practically apply the tools & techniques indispensable for the implementation and the management of a demand driven production environment producing multiple models. The steps to be taken to implement flow manufacturing, from customer order obtainment to product delivery, as well as the role of all corporate functions in this change, are clearly defined. The participants learn how to design a flow line or cell and how to overcome potential obstacles once implementing the tools & techniques. This training session will end with a visit to a demand flow driven factory. Provide to the participants the necessary tools &amp; techniques for the effective implementation of a mixed-model flow line. Learn how to daily organize and manage flow lines. Part 1 : Producing in a traditional environment. Part 2 : Organise a Demand Driven Flow Production // First Lean Manufacturing tools. Part 3 : Balancing the lines according to Takt time. Part 4 : Apply Kanban and Supply Chain techniques. Part 5 : How to integrate machines and upstream processes. Part 6 : Optimisation of resources in the organisation. Part 8 : Multiple Model Lean tools. Part 9 : Material and material resupply. Part 10 : Organising and managing a flow line. Part 11 : Flow line formalisation. Provide to the participants the necessary tools & techniques for the effective implementation of a mixed-model flow line. In our model factory, we simulate the various steps to implement a Lean & Flow Manufacturing environment which enable us to convert a traditional factory into a flow organization. Participants learn by doing, starting to build products in the traditional way and, understanding by the second day of training, how to redesign the factory by applying the tools and techniques illustrated in the theoretical sessions. This training session will end with a visit to a demand flow driven factory.